A decade ago, Prineville police didn't see many heroin-related incidents. "Back in 2008 and 2009, you really didn't hear about that," recalls Sgt. James Peterson. That began to change during the past few years, right around the same time that Crook County's congressional delegates began focusing on what they called an opioid crisis statewide. "We had a couple cases trickle in, most an overdose," Peterson said. "Now, it is getting more and more common. On subject stops and vehicle stops, heroin is one of the drugs that people are using and carrying around with them." 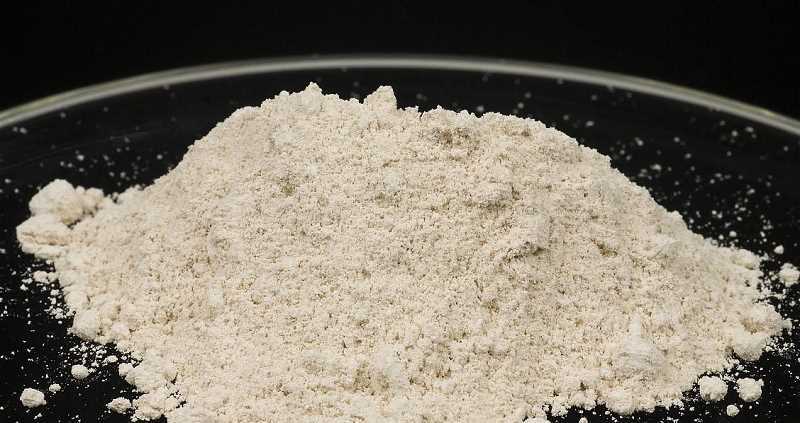 Several theories exist as to why heroin use has escalated locally and throughout the country, but one in particular seems to make the most sense, Peterson said. "With the regulation and cost of prescription drugs — Vicodin, Oxycodone, stuff like that — it's much more difficult to get them," he said. In response to the opioid crisis, new federal legislation has emerged to clamp down on how often opiates are prescribed, and similar efforts to reduce opiate prescriptions have emerged at the regional and local levels. Dr. Torree McGowan, M.D., site lead for St. Charles Prineville and Madras, recently said that local doctors have begun to more closely scrutinize when they prescribe opiates, who they provide them to, and for how long. "At St. Charles, as well as emergency physicians in general, we try to be very cautious to balance the risk and benefit of a medication, and opiates are obviously a very risky medication," she said. "So if patients are on medications for long term, and certainly if they are using them for chronic pain, we usually encourage them to go back to their primary doctors. Generally, we don't refill medications if they have been lost or stolen — we encourage them to go back to their primary doctors." Meanwhile, the Central Oregon Pain Standards Task Force, formed in 2015, has adopted Oregon Health Authority's Acute Pain Guidelines, which are aimed at patients who are new to opioids, receiving care from dentists, those in emergency room and urgent care settings, primary care physicians, and individuals in post procedure/surgical care. The goal of the task force is to work with medical providers to adopt the new standards, raise awareness of the risks of opiates to patients and introduce other forms of acute pain management treatments that are just as effective and safer. While the efforts to limit opiate prescriptions in the medical field has had the desired result of decreasing overdoses and the likelihood of dependency, it can actually push people who are addicted to opiates toward heroin. "If a person is addicted or a user of opiates and they can't get pills anymore legally through the medical system, they turn to the relatively inexpensive street heroin," Peterson said. Heroin use and addiction is everywhere and is not exclusive to a particular class or group of people, Peterson said. It is found in all edges of society. "It doesn't have to start out as a criminal endeavor. It's often the result of some catastrophe that happens in somebody's life like a bad car crash," he said. "They end up on pain meds, it doesn't heal right away, they get a stronger pain med, and in the healing process, you become addicted." The longer a person takes opiates, the more is needed per dose to have the same effect on pain. Eventually, the body becomes chemically dependent on it, and withdrawal from the drug becomes dangerous without the care of a physician. Because heroin is an illegal drug, possession of the substance is a criminal offense. While that is the case, the law does provide protection for people in certain situations. Peterson said if police respond to an overdose call, they will not arrest the person who has overdosed, during or after the incident. The goal is to save their life. Likewise, the person who calls and reports the overdose will not face an arrest — unless they are caught in possession of the drug when police respond or have committed another crime. Since stricter guidelines on opiate prescriptions have not appeared to slow the use of heroin but could be blamed for increasing it, Peterson feels that improving drug treatment is necessary to battle the heroin epidemic. One problem, he said, is accessibility. Most addicts are already unlikely to consider treatment unless they are mandated by the court after a possession arrest or are prompted by concerned family and friends. Lack of nearby facilities exacerbates the problem. "When you have to travel to Baker City or Portland to get treatment, the likelihood of them doing that goes down a lot," he said. Peterson added that it's important for friends and family members not to enable the addiction, which he said is very common. "They need to help them get into treatment and get well," he said.